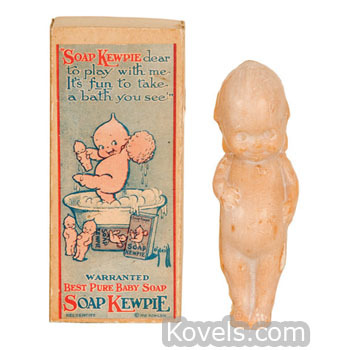 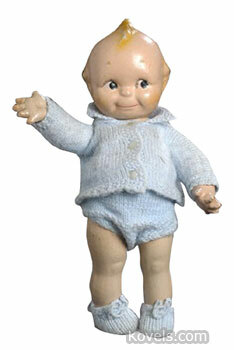 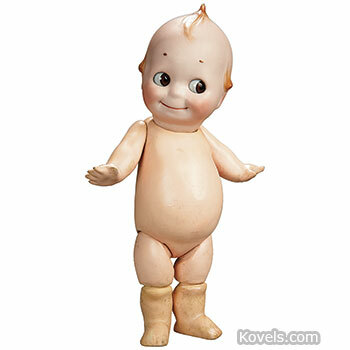 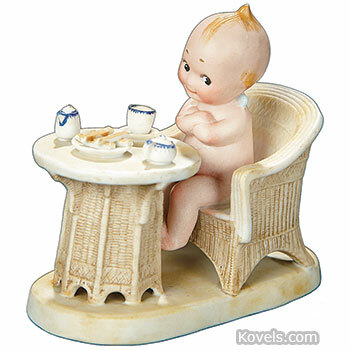 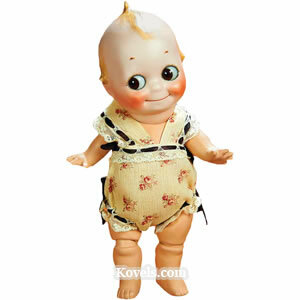 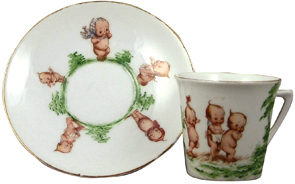 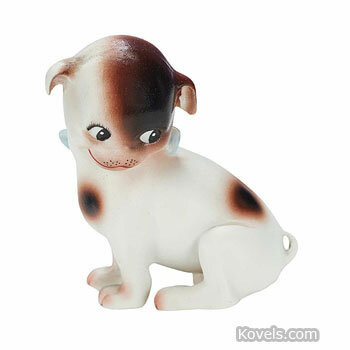 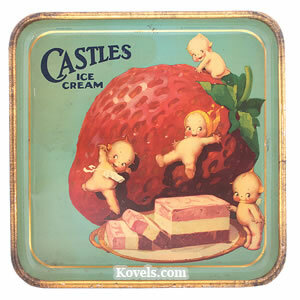 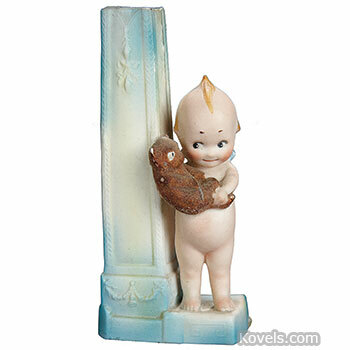 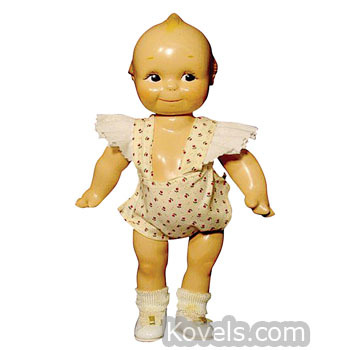 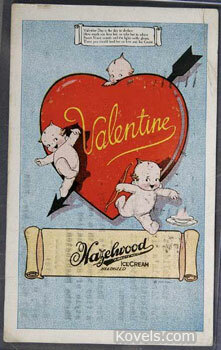 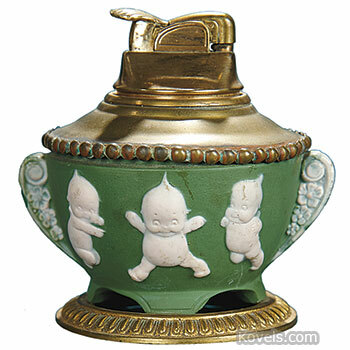 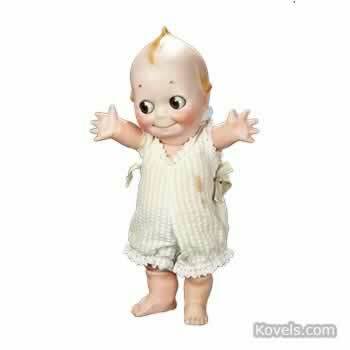 Kewpies, designed by Rose O'Neill (1874-1944), were first pictured in the Ladies' Home Journal. 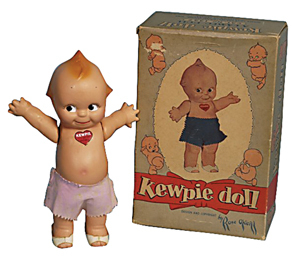 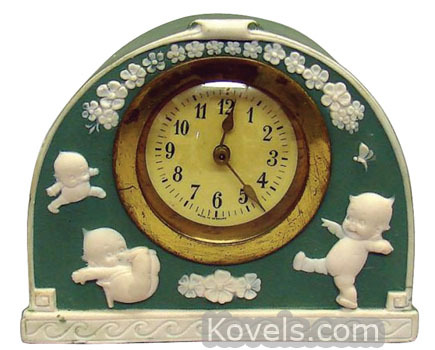 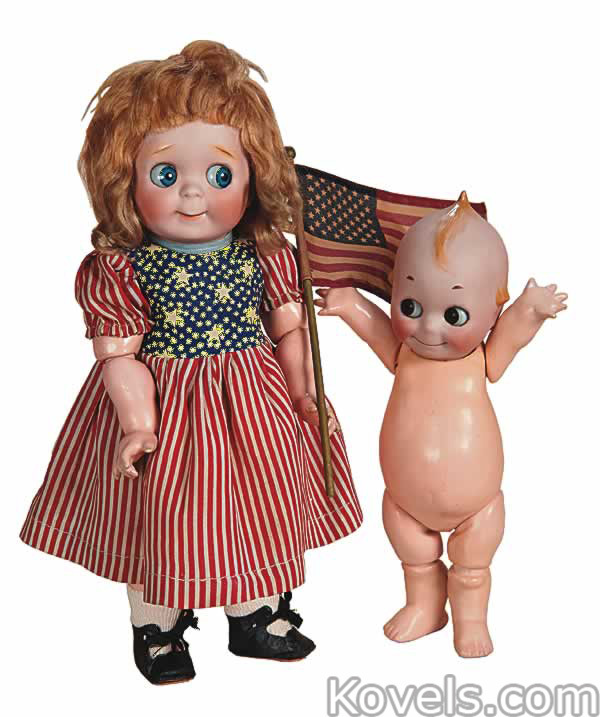 The figures, which are similar to pixies, were a success, and Kewpie dolls and figurines started appearing in 1911. 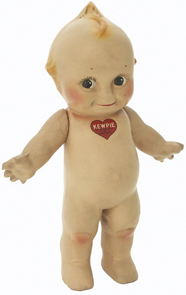 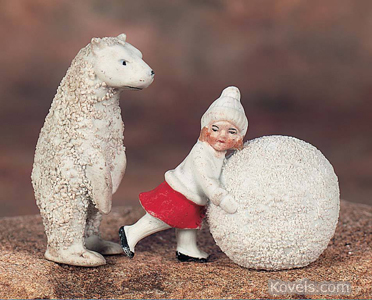 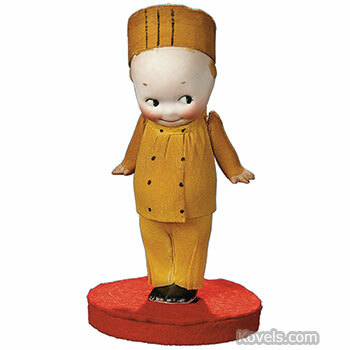 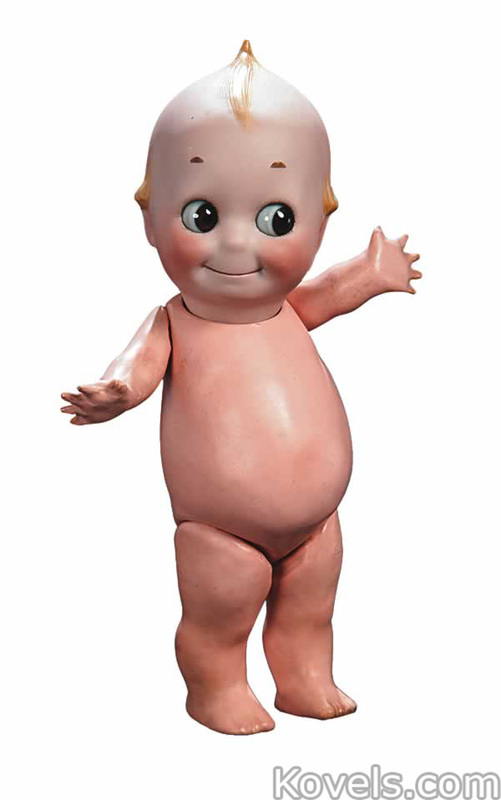 Joseph Kallus, who made the original Kewpie figurines, owned the rights to production of the Kewpies until his death in 1982. 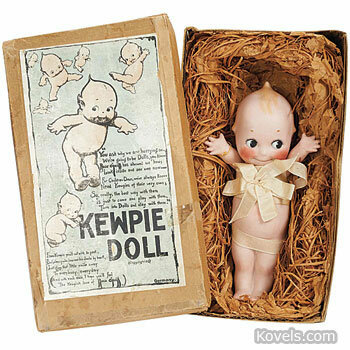 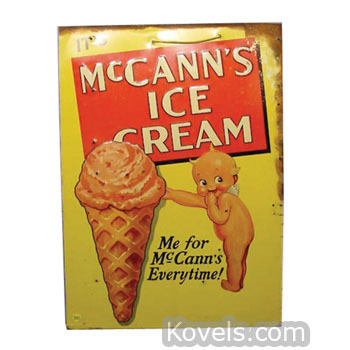 Kewpie pictures and other items soon followed. 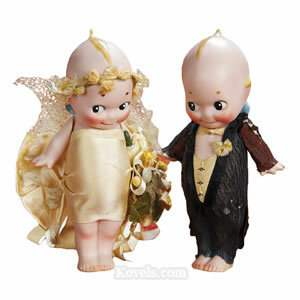 Collectors search for all items that picture the little winged people.